Hi, Well, I finally graduated from NTTS and got my CDL A(on my second try, so nervous on first road test, couldn't even straight line back . Second road test went allot better, wasn't nervous anymore. I'm going to Nashville TN, I leave on a Greyhound tomorrow(5/5) at 12;45 pm and get into Nashville TN Tuesday morning at 6:15. My recruiter told me that I don't have to be to orientation until Wednesday, He just wanted to get me down there early. Weather is going to be in the mid 80's in Nashville, which is allot warmer than Syracuse, where I am right now.I'm going to be flatbedding with Western Express, and I'll be going Over The Road, so I hope I'll get miles with them. Hey Glenn, Congradulations! I've heard W.E. is a pretty good company, keep us updated. I too will be leaving for orientation ,hopefully in the near future. I did some checking on flying or driving (rental car) versus taking a bus and found both to be about the same as a bus ticket. May be too late to change your plans ,but ,I thought it may help someone else heading out. I use Priceline.com for all of our traveling and if I'm by myself I use the "name your own price" and have saved a ton of money over the years. Also, most trucking companies will reimburse you up to the price of a bus ticket !Anyway, best of luck and be SAFE! Thanks for the info Phil, I'm glad to hear it. Best of luck to both you guys, and please keep us posted on how things are going for you. I'm in the same boat you are. A friend of mine and I are working on getting a team position at Schneider. He has 6 months car hauling experience so as far as Schneider is concerned, he's good to go. I, on the other hand, need the refresher course (January '13 CDL grad). I've been trying since mid-November to get my CDL school to give me info on a refresher and it's been like pulling teeth! My buddy and I should have been out with trainers by now if my school was on the ball. I looked at Western Express but the refresher pay is pretty low and we really want to start out with Schneider. Good luck to you and keep us up to date. Chip, welcome to the forum! It's next to impossible to get hired when in your situation, as I'm sure you are already finding out. I don't know if it's doable or not for you but you really should take a refresher course from a truck driving school and then you would find a whole lot more doors open to you. There are only a scant few companies that will hire someone who isn't fresh out of school or with at least one year of experience. This is all dictated by the insurance companies, and you can't hardly blame them for wanting to cover someone driving eighty thousand pounds of rolling inertia down the highway at seventy miles an hour. There is another option available to you that doesn't require any upfront money from you. Check out this link for Company-Sponsored Training. Here you will find several different companies who will provide you with free training in exchange for a one year commitment from you to work for them. Many of them pay all your expenses during training, including housing and meals, and then provide you with a good paying job for a contractual agreement with you to work for them for the specified time. See if anything there interests you. I think I heard recently that Western Express has been hiring some people in your situation, you might want to contact one of their recruiters and check it out. 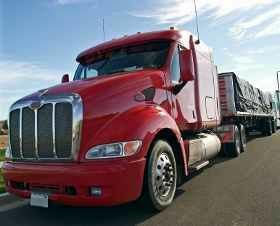 Hey everyone, I wanted to get some advice on which way I should approach becoming a truck driver. I attended CDL training school just under 3 years ago. I passed with a 3.9 gpa (backing up got the best of me!) have all endorsements ,except,for passenger,TWIC card and all that good stuff. I drove a dump truck for a friend of mine to help him out for a month, but, that's all the experience I have. I was accepted to TMC and Schnieder after graduating but did not go. First excuse, My brother, whom I own a Heating/Air Conditioning company with,family business of 47 years, had to have both his hips replaced so I could not go out on the road. Second excuse, my father-in -law passed away suddenly the next year,so ,I couldn't leave my family for awhile.I have been looking around at several trucking companies lately ,which you know they you need to have some experience or go back to school.One company advertises they will hire you if you've had your CDL for awhile but never used them, take their 2 to 4 day orientation then out with a trainer for 6 weeks. Would like to hear any and all points of view (good and not so good). Thanks for reading my rambling and hope to hear back.